Being a major Canadian tourist destination, Victoria is home to numerous hotels of all kinds and standards. Below is a list of some that we recommend. Whether you’re looking for a fancy place or more affordable accommodations, here is where you’ll find them. Abigail’s Hotel – an “adults only” boutique bed-and-breakfast-style hotel located at 906 McClure Street in downtown Victoria just off Quadra Street by Christ Church Cathedral. The Empress Hotel – Victoria’s most famous hotel is located right in the heart of the Inner Harbour at 721 Government Street. Hotel Grand Pacific – a beautiful modern hotel located at 463 Belleville Street in the Inner Harbour. Brentwood Bay Resort & Spa – a luxurious resort located at 849 Verdier Avenue in Brentwood Bay not far from Butchart Gardens. Magnolia Hotel & Spa – a luxury boutique hotel right in the heart of downtown at 623 Courtney Street. 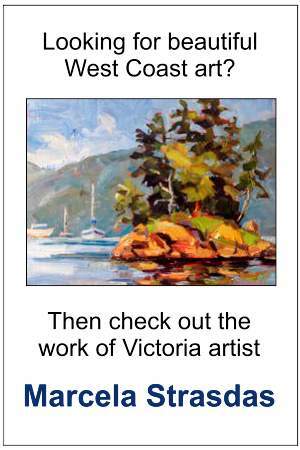 Victoria Regent Waterfront Hotel & Suites – a luxurious hotel located at 1234 Wharf Street in downtown Victoria. Best Western Plus Inner Harbour – a nice hotel located at 412 Quebec Street just one block west of the Legislative Buildings in the Inner Harbour. Coast Harbourside Hotel & Marina – an oceanfront hotel located at 146 Kingston Street a short distance from the heart of downtown. Hotel Rialto – one of Victoria’s finest mid-range boutique-style hotels located at 653 Pandora Avenue in downtown Victoria. Accent Inn – a small local chain hotel located at 3233 Maple Street close to Mayfair Shopping Mall and about 4 km from the Inner Harbour. Arbutus Inn – on the highway at 2898 Douglas Street just over a 2-km drive from the heart of downtown. Helm’s Inn – located at 600 Douglas Street downtown close to Beacon Hill Park. Paul’s Motor Inn – located at 1900 Douglas Street about three blocks from Chinatown. Robin Hood Motel – a basic motel with free parking at 136 Gorge Road East about 2.5 km from downtown and the Inner Harbour. For young folk on a tight budget, Victoria’s International Youth Hostel is a popular place and conveniently located at 516 Yates Street in the heart of downtown.